14 Good Alternatives to the Icon Variant? The Variant is Icon’s dual-sport or adventure helmet. That means it’s really targeting folks who ride a cross-over style motorbike like a Triumph Tiger or Multistrada (or even a Scrambler), the sort of bike where you ride in a more upright position (which will suit the aero design of the Variant) rather than riding in a tucked down position that sure won’t. It’s also designed to perfectly accompany the style of adventure bikes too. In fact the cool looks of the Variant – together with the stunning range of designs and finishes that Icon always offer – seems to be the main reason folk buy the Icon Variant. It’s been around for a few years now so we’re well placed to find out exactly what it offers and what owners think about their own Icon Variants. The Icon Variant is both DOT and ECE 22.05 certified. Beyond that, we usually look for some other testing – such as SHARP or Snell – to give us an idea of how well it’ll perform during an impact. 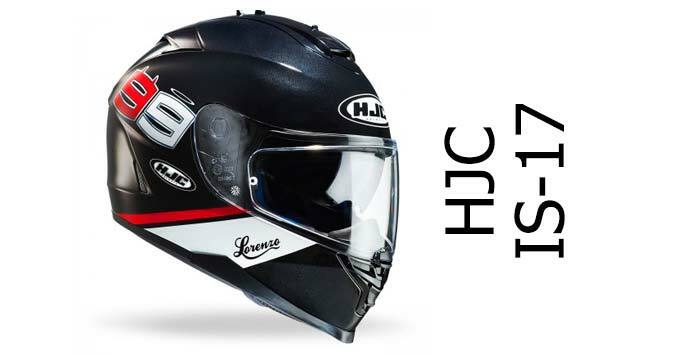 Unfortunately, the Variant hasn’t been tested by either safety lab; though we can see from the SHARP testing data that the the only other fibreglass Icon helmet tested to date was the Icon Airframe which scored a very respectable four stars out of five. However, that wasn’t really the same construction/materials as the carbon/fibreglass/Dyneema Variant so isn’t directly comparable. So, instead let’s take a look at the rest of the safety features the Variant offers. That helmet shell construction is pretty exotic and the first time we’ve seem Dyneema used as part of a helmet shell. Or at least, it’s the first time a manufacturer has mentioned the name specifically, though there’s lots of other thermoplastics in use in helmet shells out there. For those of you who don’t know (and neither did we! ), Dyneema is actually an ultra-high strength polyethylene thermoplastic – according to wikipedia it has the highest impact absorption of any thermoplastic and is ultra-slippery too. So all-round a pretty good thing to make a helmet out of we’d have thought. Combine that with fibreglass and carbon and we’d hope that the Icon Variant will offer excellent impact protection – though until it’s tested, it’s impossible to be sure. Other ‘safety’ stuff that’s on the helmet is fairly sparse – no drop down sun visor or EQRS for the Variant. Icon says the visor is fog free (a very important factor for a safe ride for most of us) – but there’s no word on quite what the anti-fog treatment is. However, a couple of owners said that it works pretty well – and it probably helps that the visor’s a bit of a distance from your face too. That visor’s also distortion free and very wide – to improve peripheral vision. The helmet’s secured with a double-D ring fastener. The word from owners we’ve come across is that helmet noise control on the Icon Variant is somewhere between good and very good. 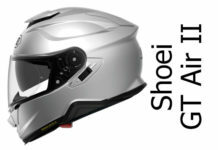 The helmet’s been wind-tunnel designed and has decent padding inside, coupled with a narrow fitment. It’s probably not used for a massive amount of high-speed riding either (see below) – which should all contribute to making a helmet that quite a few owners say is particularly quiet. Read our aero section below too for more info on this – but we’d expect that if you rode much distance at high speed in the Variant, that wind noise would get worse. But if you take it slow, then you should be good with the Variant. There’s six front vents on the Variant to let air in – plus four rear vents to extract stale air. The chin vents are opened/closed with the small vertical slider front-centre on the outside of the chin guard. And if you want to block some of these vents off entirely, there’s another slider on the inside of the chin guard to invisibly block them up. There’s also a couple of brow vents that direct air over the top of the head (both with open/close sliders) and they’re supplemented by a pair of crown vents right up top in the sun peak. All this air entering the helmet above the visor pushes air into channels inside the helmet which directs air through the comfort lining and onto the head. But do they all work? 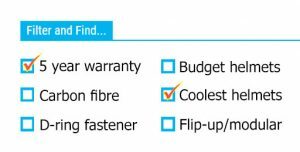 Well it seems so – because most owners we came across said that it vents well and offers great cooling, even in really hot weather. So all good with the venting. Icon have made a really big effort with the visor on the Variant. There’s a lot of 3D moulding going on with that fancy visor – which could easily make for really distorted vision. Thankfully, Icon has made the visor a distortion-free optically correct visor to compensate – and quite a few owners say it works really well and is really clear and distortion-free. Nice one Icon! Apart from the Ghost Carbon Black Variant that comes with a yellow visor* all other versions should come with both a clear and tinted visor in the box. That’s another first we’ve come across with the Variant. 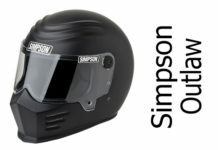 It’s also a really wide visor, offering great peripheral vision – though one owner said, looking forwards, you can see the sun peak and chin guard sticking out front, which they found a bit distracting. Another said that the half-opened positions are a bit pointless because you either end up with the bottom of the visor in your line of sight or looking through the visor at an oblique angle which can distort your vision – so it’s only really any good fully open or closed. But they’re in the minority because most people find the visor system all good. What does bother a few more people is that the visor’s more a very-slow-change visor than quick-change. In this world of helmets with quick-release visors, most adventure style helmets can be a bit hard work when it comes to removing and swapping visors. And from the comments we’ve found, it seems the Variant’s one of the worst offenders – needing tools to do it and with owners using words like painful/confusing/annoying when it comes to changing it. Shame that, because it’s a well thought out system otherwise. So if you’re used to swapping out your visor lots to clean or change it, I’d check out the rest of our adventure helmet reviews or helmets with quick release visors. The Icon Variant is only available in sizes down to XS, but on the larger sizes up to a massive XXXL. Icon market the Variant as a long/narrow helmet – and we’d recommend you stick with that. Why? Well there’s lots of people saying it’s a really comfortable helmet and the sizing’s about right. But there’s also a lot of folks saying the cheek pads squeeze the face a lot – indicating they’re possibly trying on a helmet that’s too narrow for them. And there’s also a ton of people saying that it’s an easy helmet to get on – but removing the helmet is a bit of a birthing experience and almost pulls your ears off! Eek. Both of which point to the helmet suiting people with narrower heads – and to the neck roll being particularly tight. You’ve been warned (so if you order one, make sure you buy from a retailer who accepts free returns – like all our recommended retailers). Inside the Variant is a fully removable and washable internal comfort lining made from Icon’s Hydradry material which is both moisture wicking and breathable. Owners say it’s plush and comfortable too (once you get the right shape and fitting). It’s an adventure helmet with a sun peak and pointy chin guard – so can the aero be any good? Well, there’s a couple of opinions out there. First, some folks reckon the Variant is hard work above about 70mph. They say that the aero stops working anything above that, meaning you look over your shoulder and the wind grabs the peak and pushes your head around. Which would mean the Variant is only really good for non-motorway riding. Others though, say the aero on the Variant is amazing with some folks saying even at 80 you can look around with little air pulling your head around. I guess that points to it being dependent on the weather on the day and/or the type of bike you’re riding. Either of those factors could easily alter how well the helmet behaves on the road. So, what I’d say is buy the helmet if you can handle motorway riding at no more than 70mph – and if you find it’s OK at anything above that, it’s a bonus. Like most Icon helmets, there’s a massive range of graphics available – from the sublime to the (almost) ridiculous. All helmets feature the same carbon/fibreglass/Dyneema shell, but there’s a range of external (and internal) treatments. For example, there’s the Ghost Carbon Black pictured near the top of the page, that’s got a rubberised textured coating, camo interior and comes with a yellow visor! You can get plain solid gloss black or white Variants – but the rest are a bit more bonkers. We love the Variant Construct’s urban rawness (see video below); the Rubatone’s are always nice and classy and then there’s… well there’s too many cool ones to mention. We’ve stuck a few photos up and down the page, but to see the full range, click through to our recommended retailers below – at the time of writing there’s a stack of Variants on offer at great prices too. Here’s a 5m look around the Icon Variant Construct. The Icon Variant is designed to take your bluetooth system, having large ear pockets for speakers and a decent amount of space for a microphone. 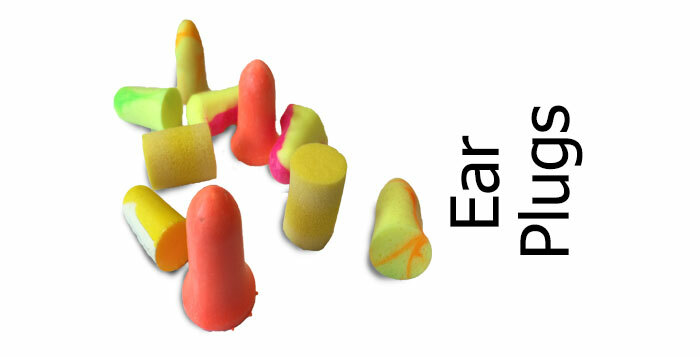 But note, make sure your head’s a longer, narrower shape otherwise you may find the speakers digging in. It’s not a particularly light helmet – weighing in at about 1.6Kg (3.5lbs) it’s on the weightier side of helmets, though no one mentioned finding it heavy in the reports we found. A couple of people did find it poor for glasses wearers though – there’s no glasses grooves cut into the comfort lining and it’s a struggle to get glasses on, especially if they’re larger than your average glasses. All Icon helmets come with a minimal 1 year warranty (some helmets come with a 5 year warranty – so come on, up your game Icon!). Most people seem to buy the Icon Variant because they love its looks or because it suits their type of bike. And with the fabulous range of graphics available, that’s a very fair call. But it’s more than just a pretty face. That visor system (with two visors in the box) is great and the ventilation is decent too. We’re not sure how well it’ll perform in an accident because it’s not been SHARP or Snell tested, but it’s got a super high tech composite shell and ECE/DOT certification so should be at least OK. But if you’ve got a narrower head shape and don’t intend to break speed records in your Variant – and you love the look – then there’s no reason why the Icon Variant shouldn’t be a great companion on all your two wheeled adventures. Good Alternatives to the Icon Variant? 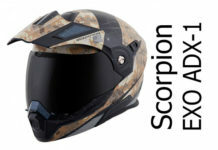 Adventure style helmets (sometimes called dual sports helmets) are becoming more and more popular. Which means there’s some great helmets out there to choose from. An interesting one to check out is the fantastic Caberg Tourmax. It’s particularly interesting because it’s one of the few modular adventure helmets (with a flip-front) – but it’s also SHARP 5 star safety rated and available at a great price. If you’re looking towards the top end of the market, there’s the Arai Tour X-4. That is a Snell M2015 certified helmet with a 5 year warranty and EQRS (worth having especially if you’re going to go off road). No other adventure helmet we’ve checked out so far has been 3rd party safety tested so we couldn’t really recommend them. But click to find all our other Adventure/dual-sport helmet reviews. The Icon Variant - an adventure helmet that looks super cool with a complex laminate shell (carbon/fibreglass/Dyneema) wide, optically-correct visor - and a range of fantastic urban graphics. Just make sure that you've a narrower head or you might well struggle - and don't expect to be a speed fiend because the aero might well struggle. Other than that, it's a great helmet that'll suit any adventure bike a treat.